Prepare couscous according to package cooking directions. Cool. In large bowl, combine garlic, red onion, cilantro, oil and honey. Mix well. Add lemon juice and shrimp; season with salt and pepper to taste. Add cooked couscous; mix well. 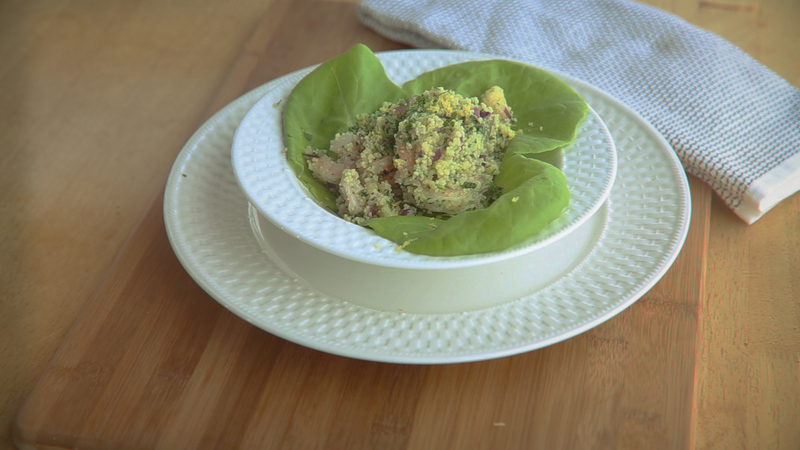 Form a bowl with 2 lettuce or radicchio leaves on each plate. Place couscous salad inside. Garnish with lemon zest and parsley if desired..